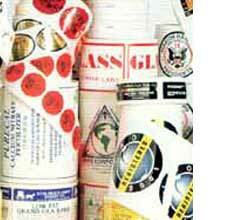 United Label provides high quality pressure sensitive ink and foil stamp labels. Promote your business, product, or service. Advertise your company's name or message on everything you sell or promote long after your merchandise has been purchased. If your company needs to identify itself with a label, let us print it for you. Call for a quote on your labels today! A distinctive label protects your company's image. Custom printed labels give your product a professional look. 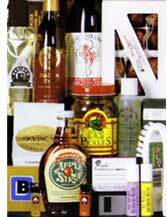 Wide variety of shapes, sizes, materials and options to fit your needs in creating a great looking label. Send us your Label for a Custom Quote!